Every quarter widely praised satirist, author of Born on a Tuesday and Caine Prize finalist Elnathan John leads through an evening of literature at the Literaturhaus Berlin. In conversation with his guests from varied literary backgrounds and interests, he explores political and social questions of our times. Fiction, prose, poetry – join us for an astounding perspective on African literature. This year's last guest was Sulaiman Addonia, a novelist who fled Eritrea as a refugee in childhood. He spent his early life in a refugee camp in Sudan following the Om Hajar massacre in 1976, and in his early teens he lived and studied in Jeddah, Saudi Arabia. He arrived in London as an underage unaccompanied refugee without a word of English and went on to earn an MA in Development Studies from SOAS and a BSc in Economics from UCL. 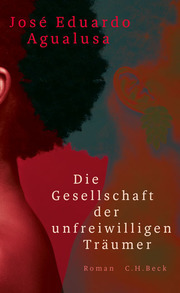 The Consequences of Love was shortlisted for the Commonwealth Writers’ Prize and was translated into more than 20 languages. Sulaiman S.M.Y. Addonia currently lives in Brussels where he has launched a creative writing academy for refugees and asylum seekers. Silence is My Mother Tongue is his second novel.